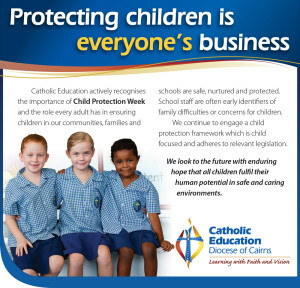 In Catholic education, protection for children and young people is based upon the belief that each person is made in the image of God, and that the inherent dignity of all should be recognised and fostered within community. A commitment to the protection of children and young people and upholding of their right to a safe and secure environment is critical to educational experience. 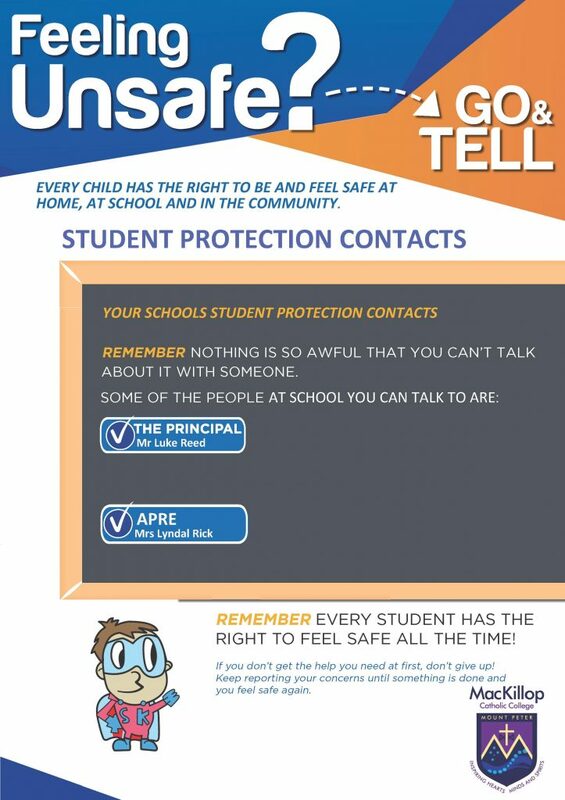 Those in positions of responsibility in Catholic schools acknowledge their obligation to have in place proactive and interventionary policies and procedures which will provide students with a safe school environment, ensure that school personnel have the knowledge and skills they need to promote such a safe environment, and provide a prompt and supportive response to an allegation of harm of any kind. The Education (Accreditation of Non-State Schools) Act 2001 and the Education (Accreditation of Non-State Schools) Regulation 2001 provide the overarching legal requirements for student protection in all Catholic schools in Queensland. The fundamental obligation is for each school to develop and maintain a Risk Management Strategy which seeks to reduce the risk of harm to students. It also includes documentation of policies and procedures which demonstrate the school’s compliance with all other forms of child protection legislation in this state and implementation of best practice procedures for the protection of children and young people from harm. The consequences of failing to act in accord with legislation and regulation are serious because of the potential impact on the lives of students, the well-being of families, school staff and the reputation of the school itself. In addition, failure to comply will attract considerable penalties in the form of fines, convictions and can place the accreditation status of the school in jeopardy. 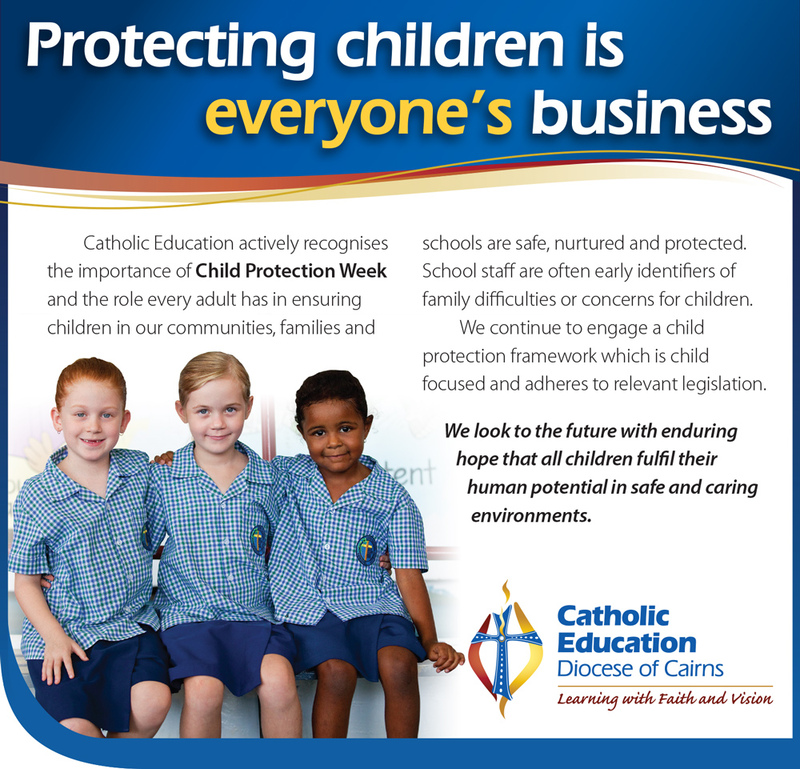 To support Catholic schools’ efforts to create student safety in communities of care, Catholic Education has published a Student Protection Reporting Processes manual and Student Protection Policy. Click here for more information on these documents.